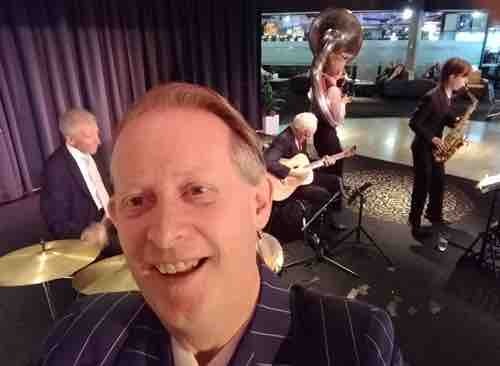 Two snaps of Greg Poppleton with his 1920s quartet. We were playing at the birthday party of a famous artist, for whom we've had the great pleasure of playing before. The party was in a house. It was a thrill to see so many guests on the dance floor. Noise restrictions meant that the music volume had to be capped at 80 dB while playing to 160 guests in a reverberant space. We pride ourselves at always playing at a volume where people can talk easily. Keeping to the restrictions while still being dynamic, musical and entertaining was easy and fun. Greg Poppleton while singing Irving Berlin's 1927 song, Blue Skies. Greg Poppleton 1920s band: Geoff Power sousaphone and cornet, Grahame Conlon guitar and banjo, Glenn Henrich alto sax, baritone sax and clarinet. 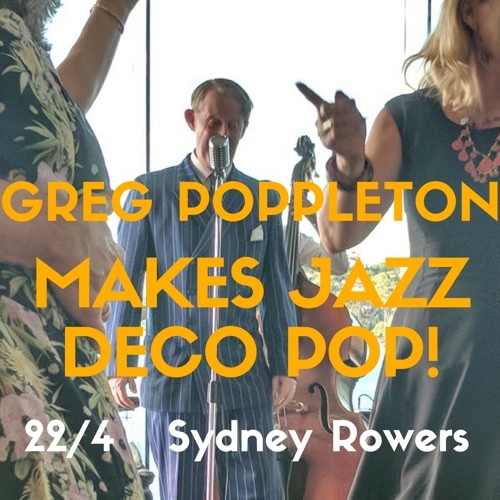 Greg Poppleton provided the hi-octane musical atmosphere with a selection of bouncy 1920s - 30s tunes sung by Australia's only authentic 1920s-1930s singer. Entertaining, energetic and engaging, Greg and the band were the focus of plenty of happy snaps by nostalgic bus fans. We've even appeared on a few Facebook pages since. Greg can entertain for you, too. Duo to full 1920s Orchestra. Act now. 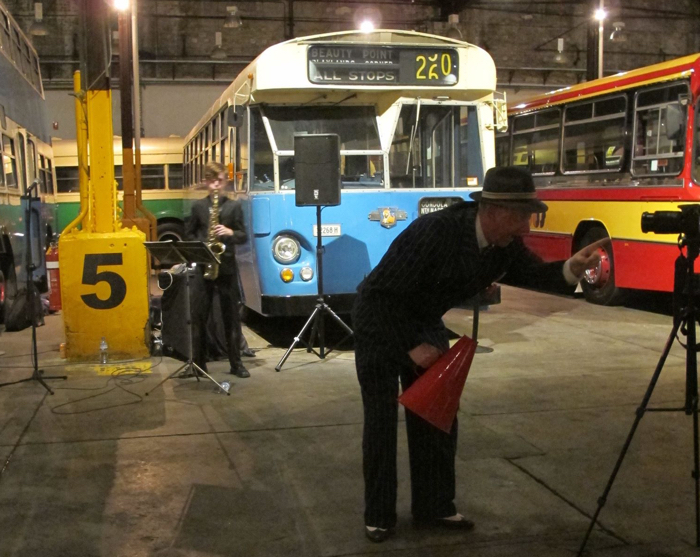 Greg Poppleton 1920s-30s Band in front of a 1930 Sydney bus. Geoff Power sousaphone doubling trumpet, Paul Baker banjo, Greg Poppleton 1920s-30s singer, Damon Poppleton alto sax. Photo by Swingin' Kitten. 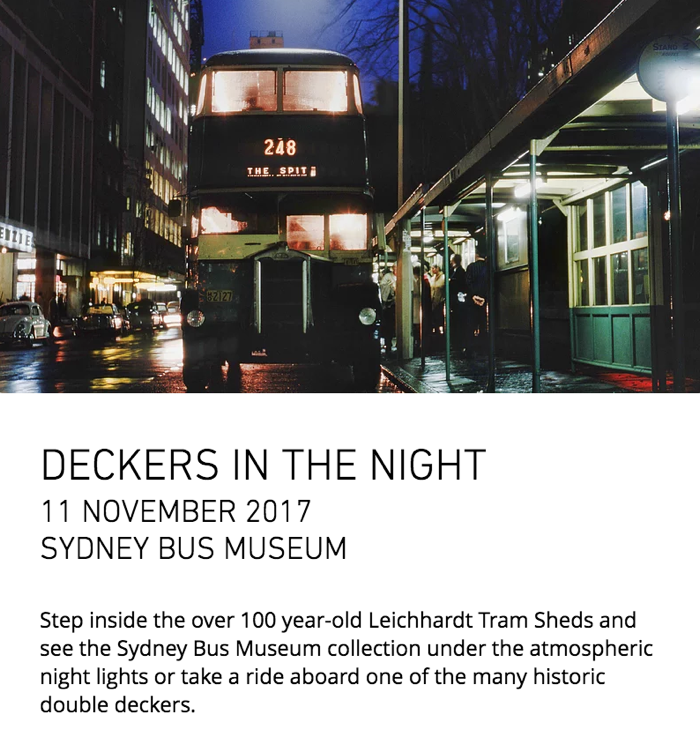 Greg Poppleton sings 'Margie' from the front platform of a 1970 Atlantean double decker. Photo by Swingin' Kitten. 1920s-30s singer Greg Poppleton with Limpin' Jimmy and Swingin' Kitten, swing and rockabilly DJs. Remember, Greg can entertain for you, too. Duo to full 1920s Orchestra. Act now. 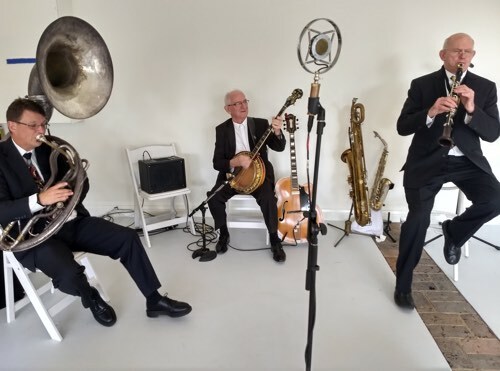 The Illawarra Jazz Club presents Australia’s only authentic 1920s – 1930s singer, Greg Poppleton, with his metamodern jazz band, for an afternoon of Liederhosen. Greg Poppleton’s music is a metamodern mediation between aspects of modernism and postmodernism. As a modernist he is Australia’s only authentic 1920s – 1930s singer. As a postmodernist he is both cognizant that he can never be truly ‘authentic’ yet pursues his single-minded mission with Virilian speed to create fascinatingly ephemeral ‘1920s Urzeiten’ unique to his time and place on stage. “To pretend, I actually do the thing: I have therefore only pretended to pretend,” Jacques Derrida. Deftly avoiding jazz cliches and gimmicky contemporary music incorporations, Greg becomes ‘1920s’ on-stage utilising a thorough ethical framework of sound music practice, stagecraft and an authentic passion for the genre since earliest childhood. “All human knowledge takes the form of interpretation,” Weimar Jazz Age writer, broadcaster and essayist, Walter Benjamin. Greg is truly a metamodern singer in English and German, and the Corrimal Hotel is the one place in the Illawarra where this musical intersection can engage, challenge and charm. 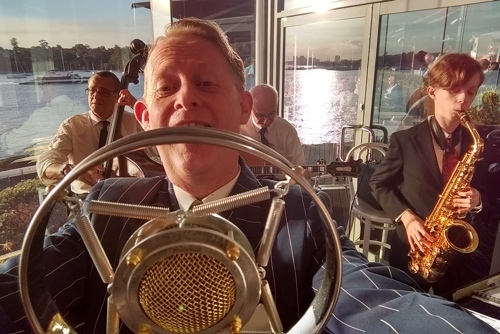 Totally untouched by contemporary music, producing sounds that intrigue and catch listeners off-guard, Greg has over 1 MILLION YouTube plays for just one mix of his 1920s-30s music from three albums. Gloriously rejected by the more traditional elements of the jazz community in which he is supposed to belong and embraced by Bob Rogers on commercial radio and 18-35 year olds in Europe, the US and Mexico, there is no middle ground with Greg Poppleton. 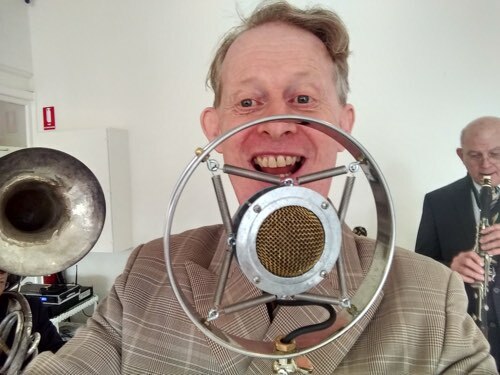 Greg entertains, bringing an operatically trained voice, a lifelong single-minded approach to the music of the 1920s and 1930s, and an acting background which has seen him in movie scenes opposite such Hollywood stars as Nicole Kidman, Adrien Brody and John Goodman. 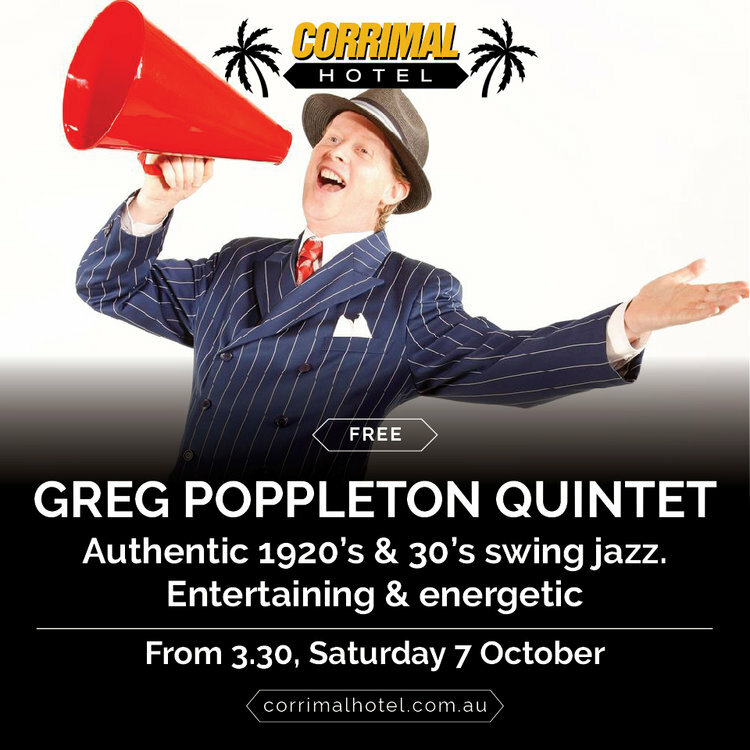 Now I ask you, writing in the first person, is there a place for my metamodern Greg Poppleton band in your hearts so that you’ll be at the Corrimal Hotel, Saturday 7 October, 3:30-6:30pm? There’s a bistro. A bar. And no PA! 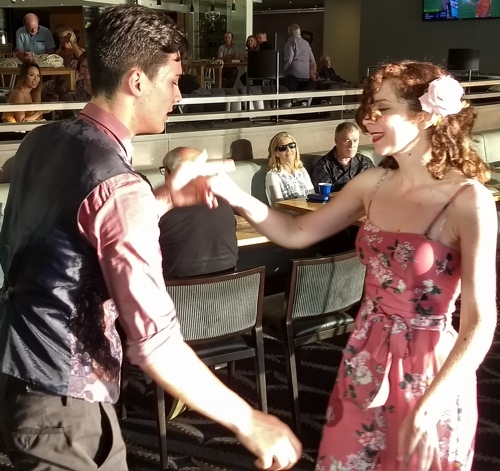 Thank you to all of you who came to Penrith RSL for jazz this Saturday and made the afternoon so much fun. 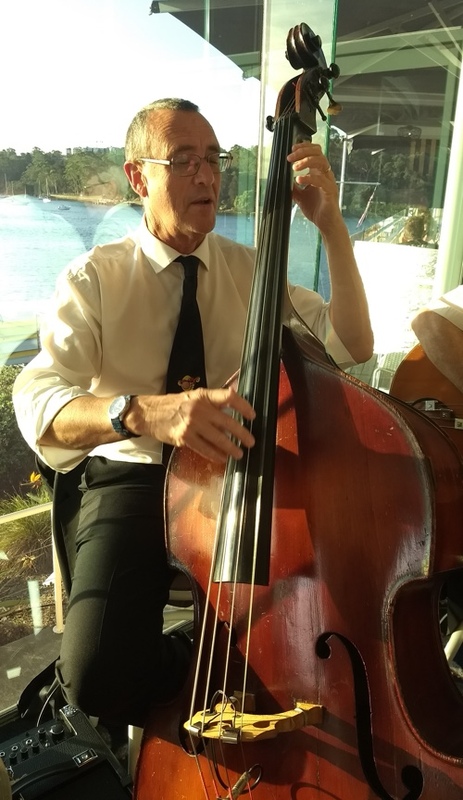 The jazz audience at Penrith RSL make the whole afternoon a great social occasion, so the band and I always look forward to playing in the city by the Nepean. In fact, we'll be back at Penrith RSL for Armistice Day, 11 November, 2 - 5pm. 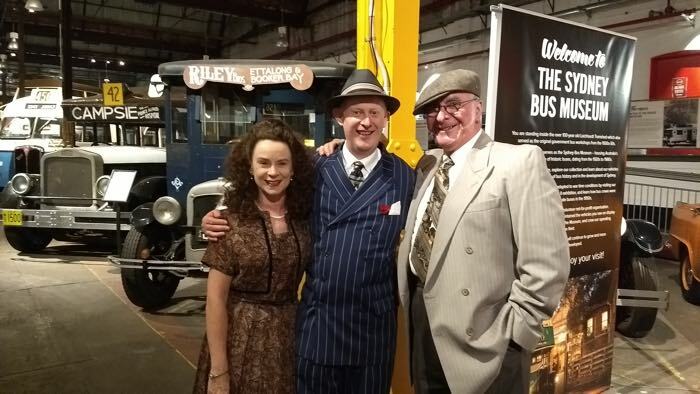 With me in the band today as I sang the songs of the 1920s and 1930s, we had, by special request, the great honour of being joined by bass brass virtuoso, Cazzbo Johns, formerly of the Australian Opera. 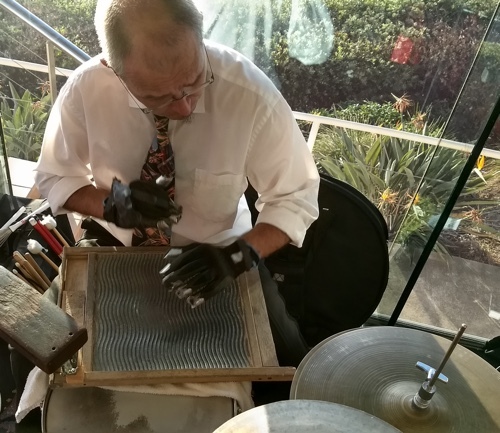 Bob Gillespie, musical director for Lovelace Watkins and drummer for Maynard Fergusson's English Band was on the kit. 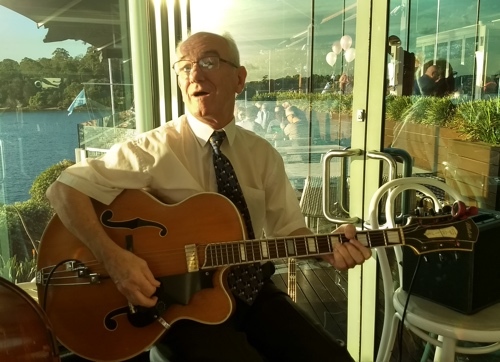 Guitarist for Ricky May, Grahame Conlon, swung on his Spanish guitar and banjo. 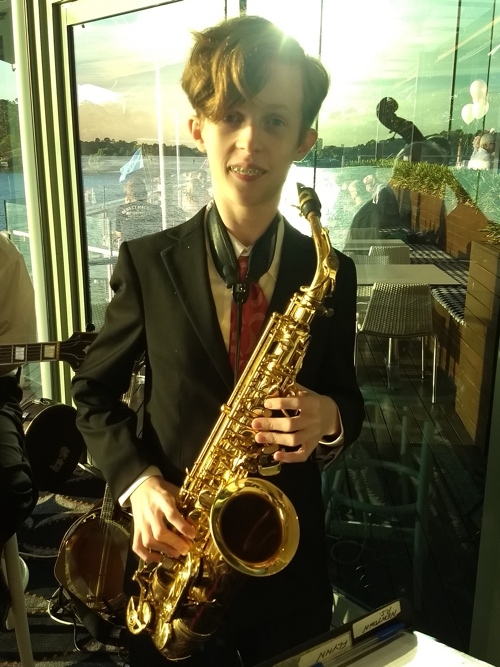 Damon Poppleton, aged 14, jammed on alto and tenor saxes. 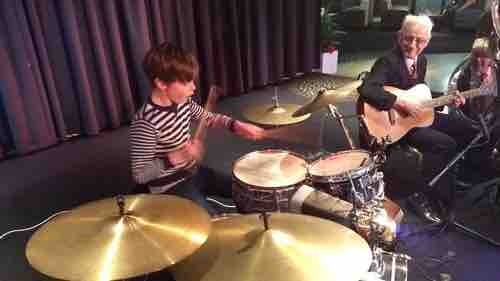 And Flynn Poppleton, age 10, sat in on drums for On The Sunny Side Of The Street. As always, I've taken some happy snaps for you below. See you at Penrith, 11 November! 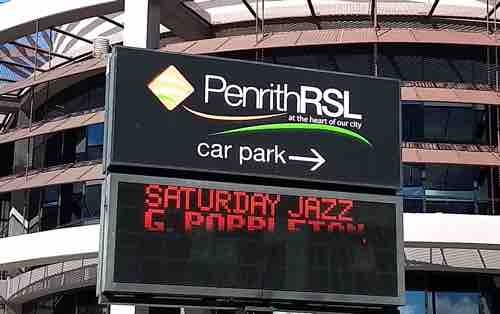 Saturday Jazz with Greg Poppleton in the Penrith RSL building. Here I am saying cheese as the band plays Cherokee. Greg Poppleton 1920-30s vocals, Bob Gillespie drums, Grahame Conlon guitar and banjo, Cazzbo Johns sousaphone, Damon Poppleton alto sax. Flynn Poppleton sits in on drums for On The Sunny Side Of The Street as Grahame Conlon (g) and Cazzbo Johns (sousa) watch on. 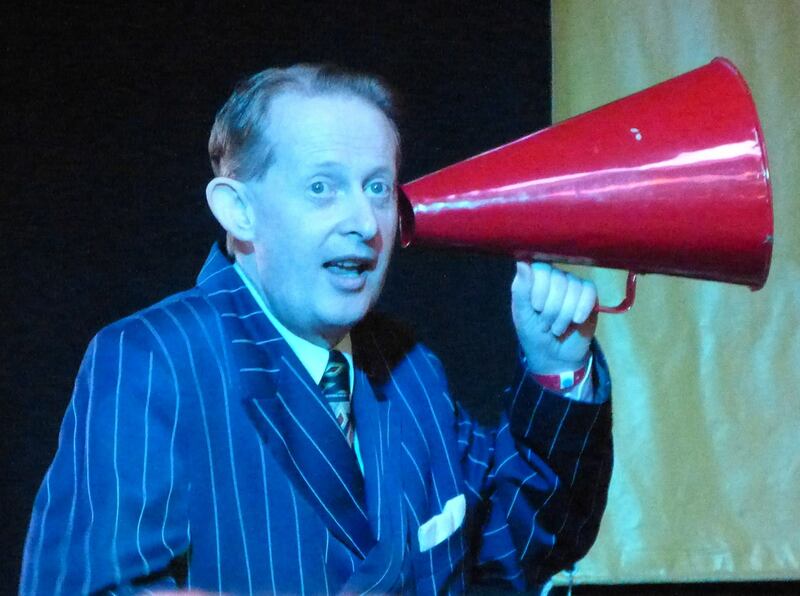 In this blog I'll be telling you about some past events I've detailed over the years in the stand alone blog, Greg Poppleton's Radio Lounge Blog. 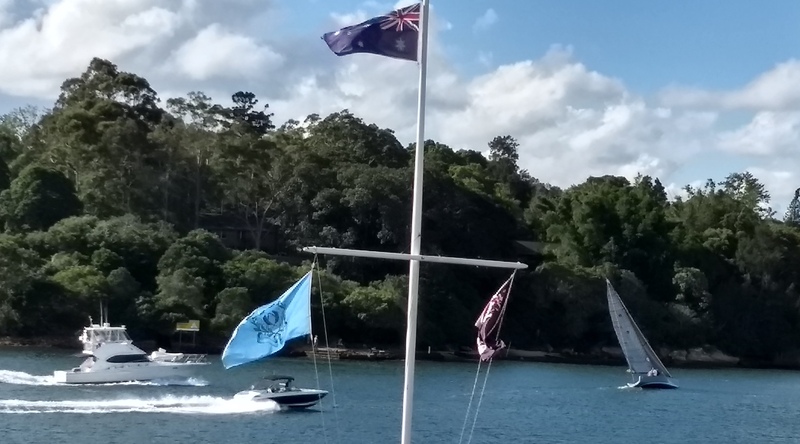 I used the name Radio Lounge because apart from photos of gigs, it lists the weekly play list for my 107.3 2SER Sydney radio show, The Phantom Dancer, your non-stop mix of swing and jazz from live 1920s-60s radio and TV. You can hear the latest four shows here at 2ser.com. 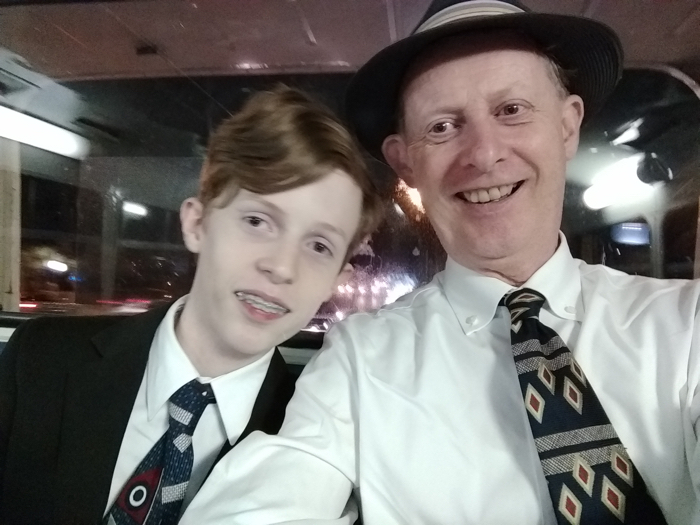 For this post, I thought you might like to see a few photos of the band and I at the Waiheke International Jazz Festival. 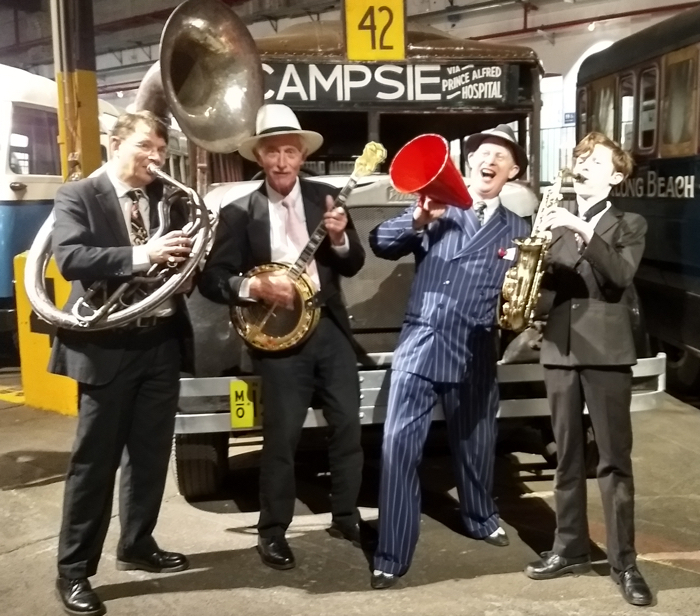 It was lots of fun singing the songs of the 1920s and 1930s to enthusiastic audiences with Greg Chilcott (sousaphone and trombone) and Arthur Washington (guitar). Over the coming months, we look forward to sharing more music with you in Mosman, the Gin Mill Social, Corrimal, Wollongong, Penrith and next year's Great Art Deco Ball has just been confirmed. Please stay in touch via my mailing list, or follow me on Facebook. Look forward to seeing you soon! Hope you enjoy these photos from Waiheke.